Hammurabi & Solomon (H&S) Delhi senior partner Pathik Arora has joined German wind turbine maker Senvion Wind Technology as its director legal and general counsel India. 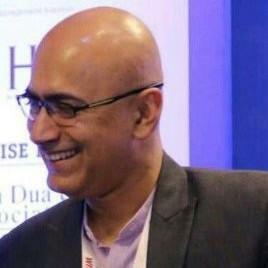 A Delhi University 1999 alumnus, Arora was vice president legal at Azure Power when he joined H&S in 2017. His other stints in-house include InterGlobe hotels, Technip KTI and Scicom Infotech. At Senvion he will head the legal, compliance and secretarial functions and will report to the India CEO and group general counsel in Hamburg, Germany. He will be based in Mumbai. Senvion came to India in 2016, made an annual revenue of $2.2bn in 2017 and took two new project orders this year adding up to 131 MW, according to Wind Power Engineering. The firm had lost many good lawyers from the corporate team in the past. The Managing Partner should scrap his hired consultants who give him bad advice and only busy in making money by limiting the salaries of deserving people. .....may be same consultants make further money by placing same individuals with other firms/companies !!! Haha...Senvion is gone with the wind...last I heard he headed Sadgamya's we r so cool division for couple of years...is that true?